In the south Chicago neighborhood of West Englewood, young people and police have a historically strained relationship. But local officer Andrew Hennessy wants to change that. That’s why he took his best guess at what would make for a powerful gesture of mutual understanding and put a pumpkin in front of the park where he sees black teenagers hanging out sometimes. In one of America’s roughest neighborhoods, Officer Hennessy is taking a hopeful crack at the police-civilian divide. 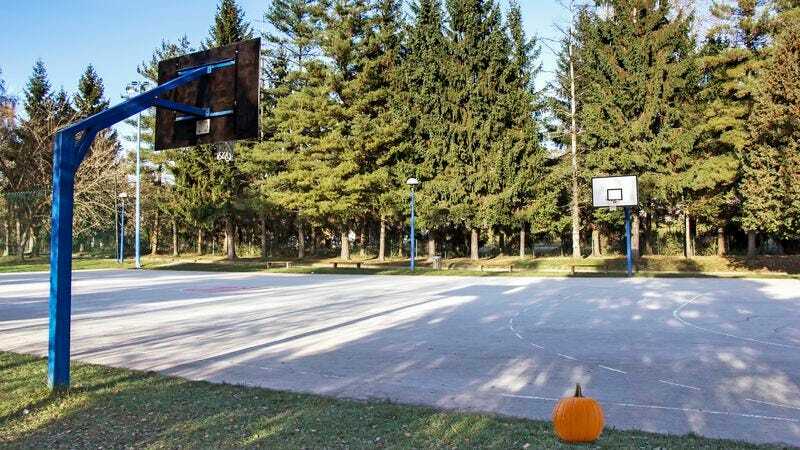 Following his relatively detached intuition, Hennessy has put down his gun and picked up a pumpkin and then placed that pumpkin by a park, thinking that will get through to the kids who need him most. Wow! If even one kid finds a pumpkin particularly resonating for some reason, this shot-in-the-dark act of goodwill could be all it takes to start turning things around in West Englewood. All police departments looking to repair community relations can take a cue from this well-meaning and totally haphazard gesture. Provided that a pumpkin sitting in some grass does anything for West Englewood’s youngest generation, this proactive policeman is showing everyone that aggressive tactics are not the way to making a community safe and vibrant. And that’s something potentially worth celebrating.